It's been a week since I last blogged, so I owe you all an apology! Sadly, I haven't been able to crawl out from under my revision books for a few days - and this is why I'm posting my wrap-up of the month a little later than usual. March was an amazing month! In summary, it involved: interviews, a TV appearance and quite a lot of stress. The reason I've been neglecting this blog, my emails and every form of Social-Networking has been to do with the BBC News School Report. This is a project I began running in school during January, that invites young people to make the news they care about, and upload it to their school site on March 27th - Report Day. If you're wondering what Report Day is, it involves turning your school-classroom into a news-room, with cameras, reporters, people writing articles and interviews taking place in every corner. In the after-school club I attempted to run, bringing along snacks as a bribe, we discussed ideas for what stories we could report on, and practiced by dragging tables out into the corridor and pretending it was a news-bulletin set. 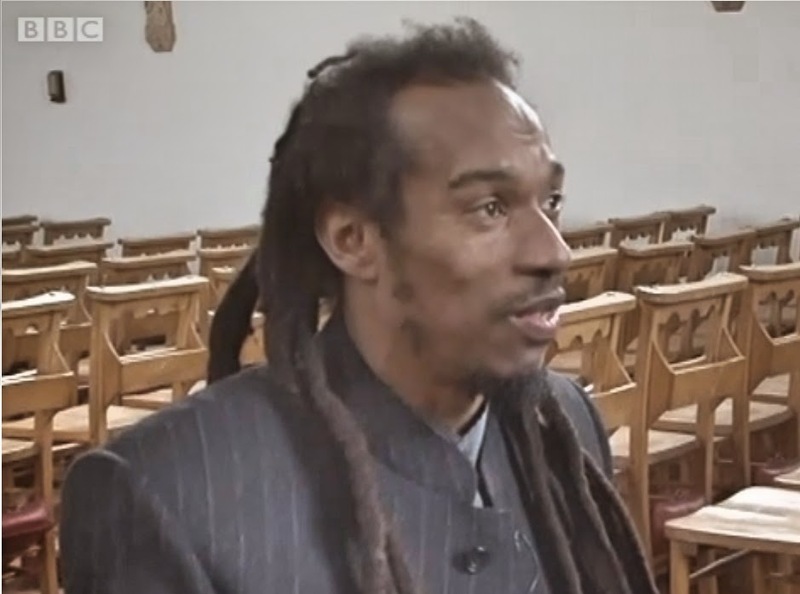 The month began with a chance to interview Benjamin Zephaniah for the BBC; a critically-acclaimed and controversial poet who is known for writing about racial-inequality, animal-cruelty and other serious topics, along with his dreadlocks and Kung-Fu moves. So, on a freezing-cold Saturday morning on the first day of March, a few of my friends and I - along with our teachers - found ourselves sitting in the middle of a crowded café, penning a poem that we would have to 'rap' to Zephaniah in around an hour's time. It's no surprise that cameras are the bane of my existence; there's a reason who I blog instead of filming videos, but, there, I had no choice but to be on film. Did I try to stay out of the shots? Yes! Did it work? Not at all. My attempt to sit on the end during the interview failed, since the camera was then position right next to me. I'll admit though, I overcame a little of that hatred during the interview, and when Benjamin arrived, he engaged us in such a normal, every-day conversation that I forgot the camera was there. I won't post the video, because half-way through I couldn't help but ask, when Zephaniah began talking about Kung-Fu, if he could show us some. As he picked the smallest member of our group, made her take stance as he did too, I was really worried about what was going to happen. The tension was building, and as he described that this move would save our lives, he just shouted, "RUN! "and ran in the opposite direction. We did have to recite our extremely cringe-worthy poem in front of him too. It was so bad, I rhymed socks with dreadlocks! By the time the interview was finished, and we filmed our final thoughts on the interview on camera, my face was purple with cold! I know this because of how my mum reacted when I clambered into the car, asking how my face was so bruised. Oops! During the weeks running up to Report Day, I spent the majority of my time writing-scripts, questions and piecing everything into place. On topics such as the popularity of reading, the longer school hours and prohibiting social-networking, I managed to mention some of my favourite books, and also arrange for author Bryce Thomas to come into school for an interview. As I filmed with my extremely shaky camera-hands, finally able to hide, the reporters quizzed him about on his own books, inspiration, why reading is not as popular as it used to be and what could be done about it. The one thing I enjoyed the most about being involved was seeing it all come-together, and 27th March was probably the most stressful day I've had in a while! We filled the school's server, managed to break all of the filmed clips, and then had to rush to piece everything back together again! You may have seen mentions of the School Report everywhere during the day, as the BBC does everything it can to promote young reporters. As soon as I got home from school, I headed straight to the part of the BBC Red Button dedicated to the project for the day, and watched what some of the other schools had been up to - and, admittedly, they were all beyond what I had ever thought of! As I reached for the remote, after watching a few reports, I heard my school's name mentioned, and suddenly, my friend appeared, then myself. To not expect it, and to then appear on your TV screen is an incredible moment, and I was definitely stared at when I went outside to call my friend - literally screaming down the phone with excitement in the middle of the street. I know what you're thinking. This is a book blog. Due to being extremely busy, I read two books this month(I finished one of April 1st but I'm going to count it as a March read). The first of these was 'Acid' by Emma Pass and the other was 'The Assassin's Blade' by Sarah J. Maas! Two books is quite dismal, but these are my two top-reads of 2014 so far! You can find my review of 'Acid' HERE. So, how was your March? Did your school take part in BBC News School Report? SO jealous you got to meet Benjamin Zephaniah! And I think you did quite well to even manage two books, considering the circumstances - sounds like a VERY busy month! Ahhh thats so cool! Congrats! Getting to interview Benjamin Zephaniah is awesome, and funny that he just shouted run. ALSO Acid is amazing, so at least you picked a good one. Good luck with revision!